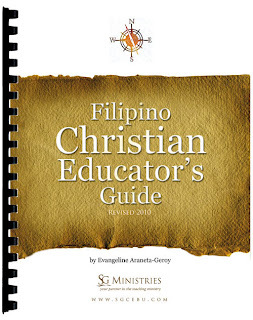 The Department of Christian Education among Filipino churches has been often mistaken as the Sunday School Department. Christian Education Department is the total education program of the church - the teaching ministry. This book aims to clarify the misconceptions about the Christian Education Department; its functions and role in the church. Good Christian education is a key to church growth. The instructions in this book may only be for Sunday school and church ministries, but the principles are founded in God’s Word and are centered towards leadership, discipleship, growth, service, and learning of the Scriptures. Also contains sample Sunday School Curriculum and Certificates.